For self-catering Accommodation and Informal Conferences send us an email or call Yolanda on 082 33 55 275. One of the nicest things about visiting the Boland is how unhurried it feels... yet you don't have to travel far to get there. 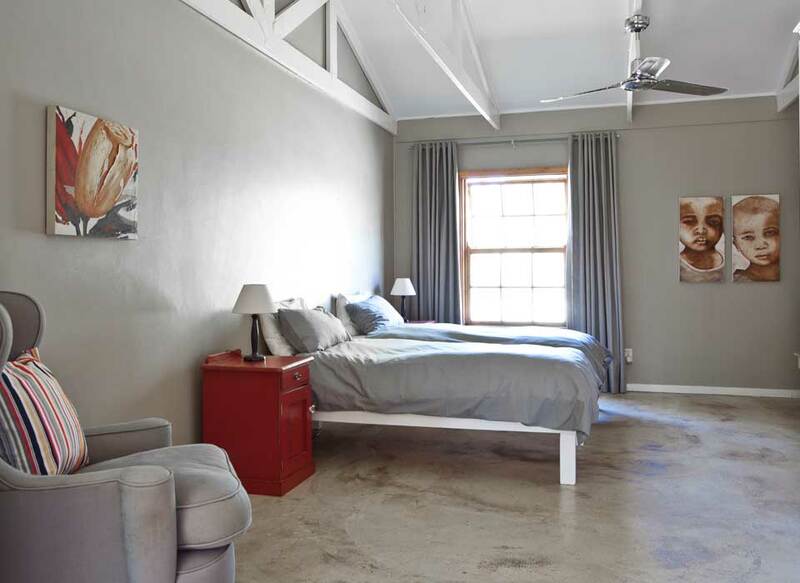 A mere hour's drive from Cape Town and you are in Worcester, the heart of the Boland and home to The River House, which offers self-catering accommodation, conference and function facilities. Perched on the banks of the Breede River, which meanders through the Boland, The River House is a sanctuary for tired souls. 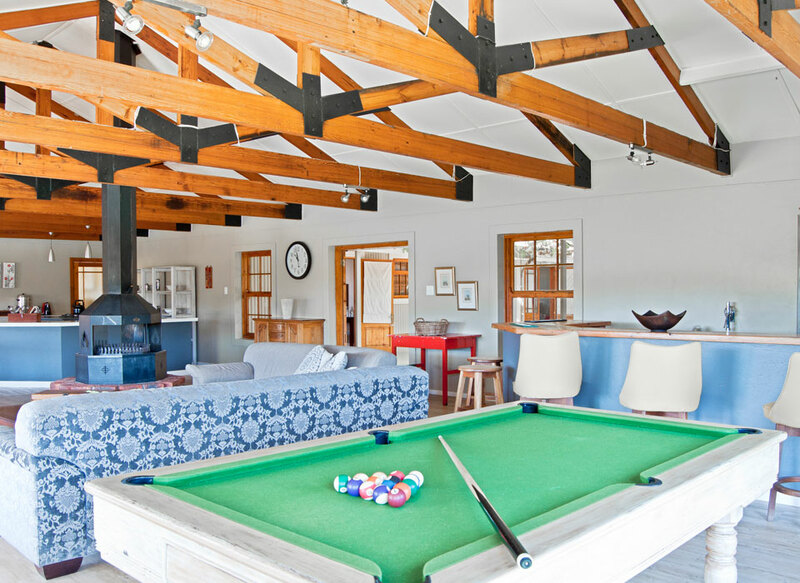 Blending old farm house accents with a refined southern African colour palette, its spacious, high-ceilinged lounge area offers a welcome respite after a day canoeing on the Breede. If lounging in the pool is more your thing, the one at The River House is the perfect place to cool off. The Guest House is perfectly situated for canoeing, fishing, bird-watching, golfing and wine tours. And if you can't completely shut out the outside world, The River House has DSTV available. The River House accommodates a maximum of 16 guests. 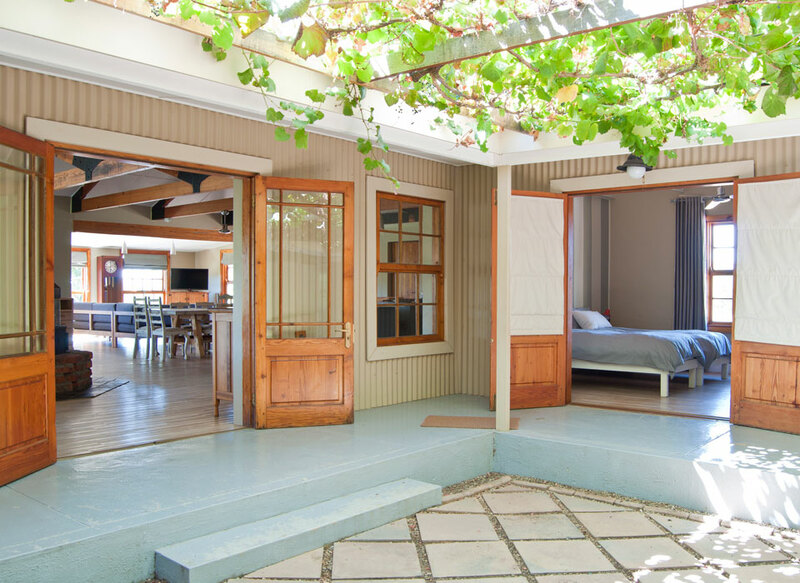 All rooms within the guest house open onto a vine-covered central courtyard, with the scent of fynbos and the sound of birds reaching each room. Charged per night for the entire guest house. Sleeps a maximum of 16 guests. R4 200,00 per night if you stay for one night only. 50% Booking Security Fee will secure your reservation. Cancellations made thirty (30) days or less prior to your arrival date will make you liable to loose 100% of your Booking Security Fee. Catered conference packages available. Please contact us for a quotation.